The pace is right for me. 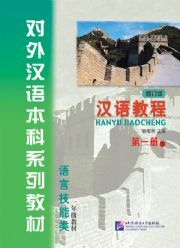 The main texts come with Pinyin, the secondary texts without. This is very good for building confidence. The last chapter doesn't have Pinyin - scary at first sight, but in fact you're well prepared and it is a real boost to be able to understand it without the Pinyin. Also, of course, it prepares you for the next book in the series (which doesn't have Pinyin with the texts). 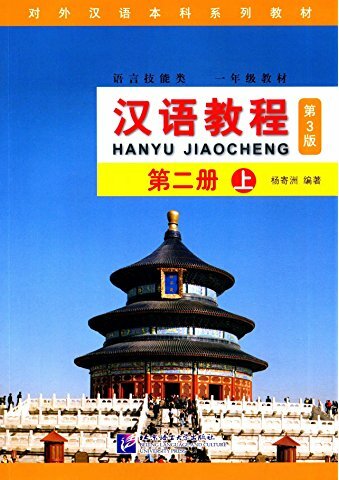 The lists of words (Hanzi, Pinyin, English) with each chapter are well-chosen and useful for everyday conversation, with a well-judged amount of previously used words. The grammar sections whilst building on the earlier vocabulary are still very useful if like me you can't remember everything. Having studied the book it is still interesting enough to revise - I am on my second revision. I am very grateful to the authors, I admire their love of their language and their skills as teachers.